If you’re about to buy a new pair of walking boots, this article will cover some tips and advice to help you buy the best walking boots for your needs. Badly fitting boots can cause discomfort, pain and in extreme cases permanent injury. At best, they will ruin your walk or day in the hills. So lets take a look at some things to consider when you’re buying a pair of walking boots. You don’t need to break the bank to get a good pair of boots for hiking, but when you’re buying walking boots it’s advisable to steer clear of trying to save your cash and buy really cheap boots. As a general guide the price of a pair of walking boots will be linked to the quality, so be prepared to invest a reasonable amount on your hiking boots as it will be money well spent. We all have differently sized and shaped feet. Boots should be shaped to suit your foot type, and accomodate the correct thickness of socks. You should also ensure there is room at the toe, to prevent your toes banging on the front of the boot on descents, which will typically lead to bruised toenails (which then often fall off!). If in doubt, pop into a shop and have an experienced boot fitter advise you on the best boots for your feet. Some shops may even have a treadmill that will allow you to walk in the boots to check them for comfort, fit and support. If the price is too high, you can always search for the same boot online later ( in fact we have a great range of walking boots here on Rock and Mountain). The time of day that you are fitting new walking boots is important. Your feet will expand throughout the day as you walk on them, and their size increases slightly due to the increased blood flow. This change in volume can be noticable in many people, so don’t go shopping for new hiking boots first thing in the morning, as your feet will be at their smallest.Trying boots on later in the day will give a more accurate feel of how they will be out on the hill. If you’re buying your first pair of walking boots it’s worth selecting comfort over durability. Although you may be tempted by a tough, durable pair of boots because they may last longer, the tougher, durable boots tend not offer as much comfort as less durable boots. If you select a very tough pair of boots for your first pair, then you may find your feet aren’t tough enough to match them! For your first pair of walking boots choose a comfortable, softer design. After you have been walking for a while your feet will start to strengthen — which means you will be able to invest in a tougher pair of walking boots in the future. Leather used to be the material of choice for outdoor footwear because leather is tough, durable and breathable, meaning it allows moisture from sweating feet to escape, ultimately keeping your feet more comfortable and less prone to blisters. Advances in modern materials mean that many walking boots today are made using high tech fabrics that offer toughness, durability, breathability and comfort. Modern fabric footwear may not be quite as tough or durable as leather footwear but will almost certainly offer better comfort and breathability. Breaking in new boots is the process of settling your boots to your own feet. Footwear that has been worn for a while and become shaped to your feet will be far more comfortable and cause less blisters. Wear new boots around your house at every opportunity, to soften up the fabric and help mold the boots to the shape of your feet. If you do encounter any real discomfort, tightness or slipping, as long as you haven’t worn your boots outdoors you can often return them to the shop and exchange them, have them modified or request a refund. Once you have worn your boots around the house and are happy with them, continue the breaking in process outdoors. It’s a good idea to go on shorter walks to begin with, gradually increasing the length of your walks to break the boots in. The more time you spend doing this, the more comfortable they will become. 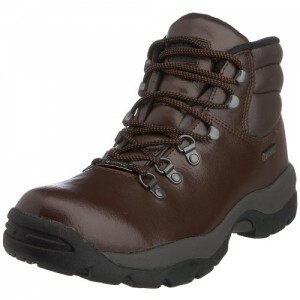 There are many styles and options of boots and hiking shoes. Walking shoes may look and feel very comfortable but they do not provide the same level of ankle support provided by boots. If you intend to do any walking on uneven terrain then ankle support is important, and can sometimes greatly reduce the risk of ankle injury. This choice can be partly down to personal preference and weight saving requirements, as shoes can be much lighter than full boots, and therefore less tiring on longer walks. Many of the features that make a boot ideal for summer use will also make it less suitable for winter use. All year round boots are available but will often not offer as much comfort in summer or durability in winter as boots that are specifically designed for seasonal use. You may want to simply decide on when you will do most of your walking, and buy boots correspondingly. If your budget allows, purchase one pair of boots for spring and summer use and another pair for autumn and winter. After all the time and money that goes into getting the best walking boots, you should do the same for your socks. Socks can make a huge difference to the comfort of your walking boots. Blisters will form if your feet are damp or wet, so choose a pair of socks that wick sweat and moisture away from your feet. It’s also a good idea to choose socks with padding in the heel and toe areas, to absorb the impacts of your walking. A seamless toe area also greatly reduces rubbing and discomfort, and therefore blisters. Don’t wear cotton socks when walking, as cotton absorbs and holds moisture, leading to blisters. 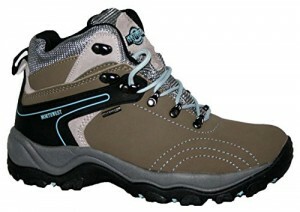 Having the best pair of walking boots for your individual needs will enhance your enjoyment of walking and hiking. Take some time to find the right pair for you. 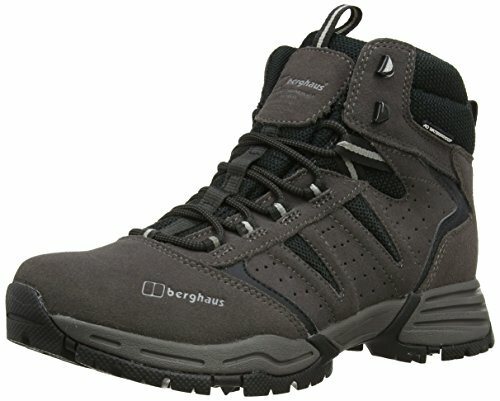 We hope our article will help you buy the best walking boots for you.